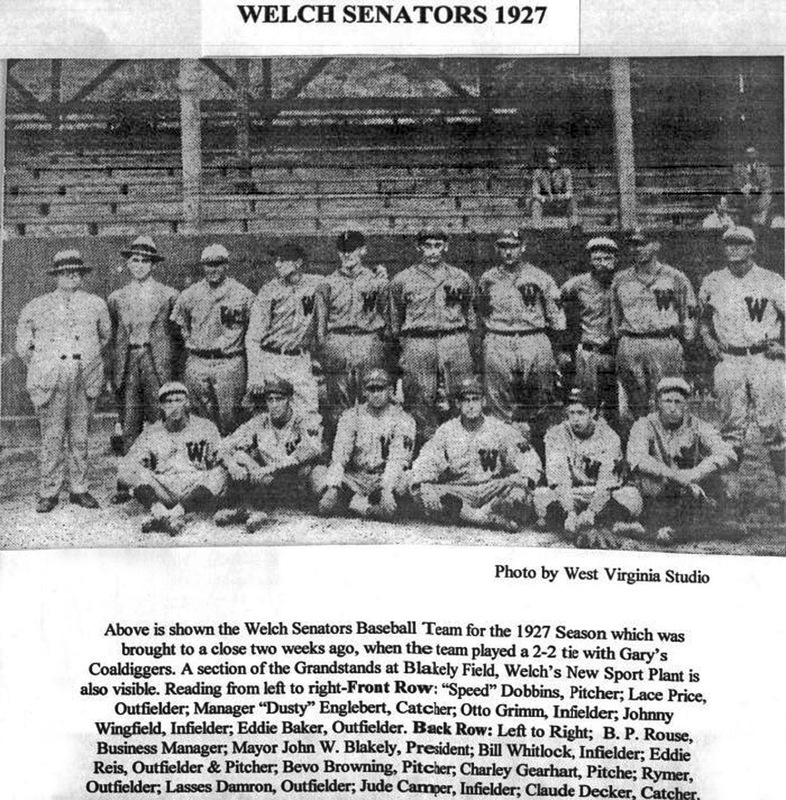 Welch's Blakely Field proudly opened its doors in 1927 as home to the Welch Senators of the "Coalfield League" after mayor JW Blakely helped bring thus new grandstand to life. Blakely Field provided a way for the coal miners of the Welch WV area who lived such dangerous and stressful lives in the mines... to blow off some steam playing some intense baseball against rival towns (like nearby Gary WV with whom they had their greatest rivalry). This league brought some terrific entertainment to the local families after a very difficult work week and gave the miners a bit of a spotlight with which to play in giving some meaning to their lives besides just working to put food on the table.